Liam Clifford‍ has had his eyes on Notre Dame for a long time, a real long time. After being in touch with Notre Dame assistant Mike Elston for the past couple months, Clifford will be back in South Bend on Saturday for an unofficial visit. The 6-foot-2, 195-pounder knows all about Notre Dame’s reputation on and off the field and is looking forward to seeing more this weekend. “Just meeting the coaches, getting to know them better, meeting the wide receivers coach, getting to check out practice,” he said. “I’m excited for that; just seeing how things work over there. 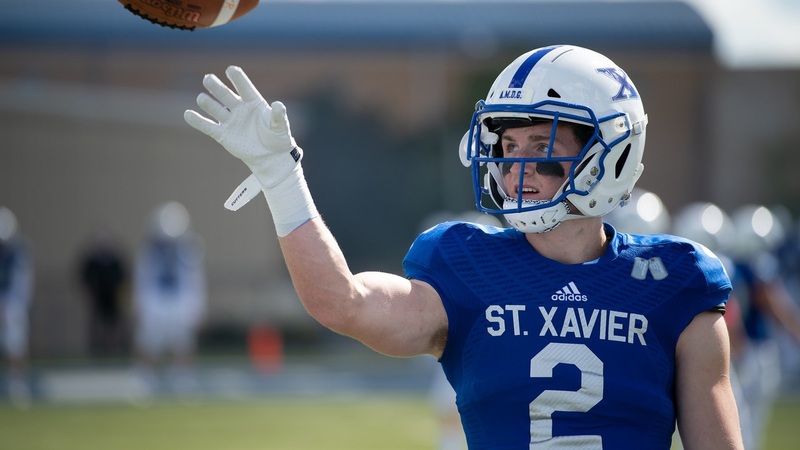 The St. Xavier High School standout already has offers from Michigan, Cincinnati, Pittsburgh and Toledo. He’d love to add the Irish to that list at some point. Clifford visited Michigan in January and was at Tennessee a couple weeks ago. He’s set to visit Ohio State next weekend. “I’m planning on scheduling more, but that’s all I’ve got so far,” he said. Clifford, who was clocked at 4.4 in the 40-yard dash at the Best of the Midwest Combine, grew up playing quarterback, but shifted to receiver last season and is being recruited as a receiver/athlete. Clifford’s brother, Sean, plays quarterback at Penn State. His brother’s experience as a top recruit in the Class of 2017 has certainly eased Liam’s a bit.